When you making a background for your Google Site make sure you use "Blank Slate" as your theme. This is the only theme I know of that support transparency. First of all, take note of your header's height in 'Site Layout.' 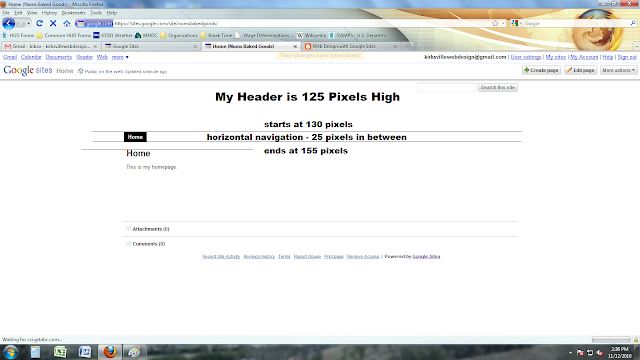 If it is 125 pixels high, make a header that is exactly 125 pixels high. Here's a great tip for horizontal navigation: The horizontal navigation bar is 25 pixels high. So, in this scenario where you have a 125 pixel header, create a background that incorporates your horizontal navigation bar starting at 125 to 160. That will give you some space above and below your bar. If you don't want any space above and below make it snug 130 to 155. Click on and save this background and use on your website. Just make sure your header height is 125px. Here an example of a finished product using good background layout and design. I still hate the big gap between the horizontal menu bar and content & I have yet to figure out how to get rid of it (if possible). Even I am still waiting for it to resolve... Any Solution ? That's my problem. Would love a solution to this. I think the horizontal navigation is 28 pixels if you choose the links display instead of the boxes or tabs. 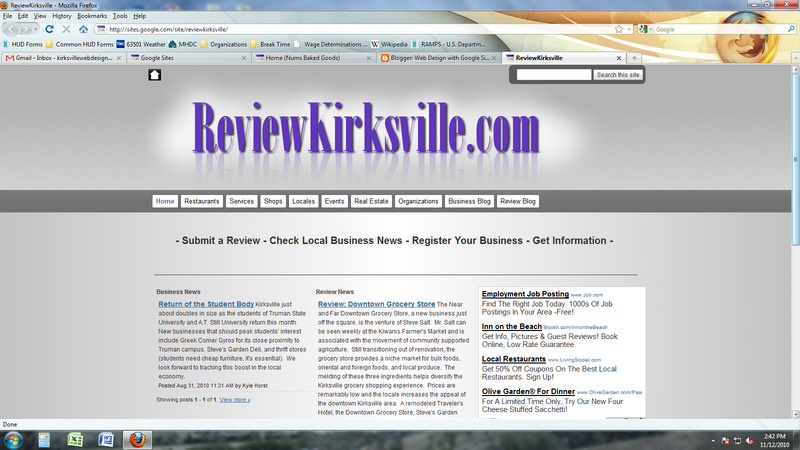 RSS Feed for Google Sites!